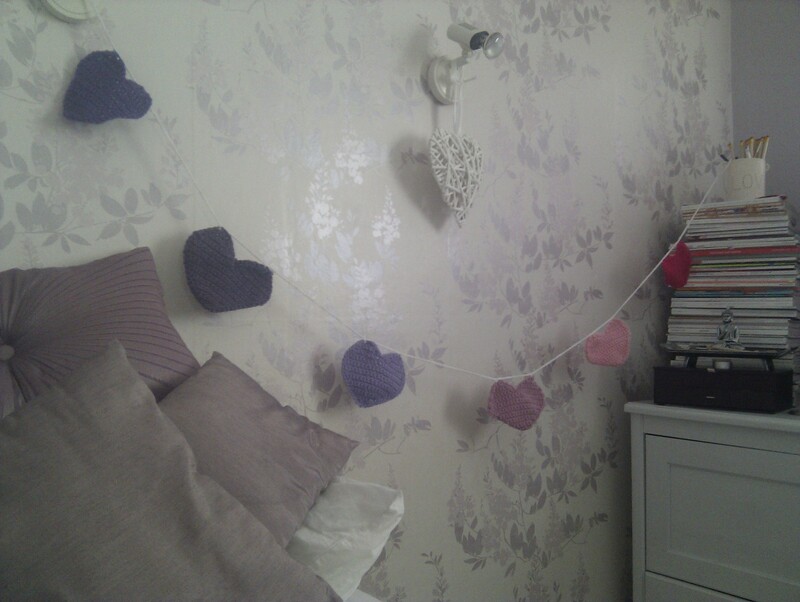 Day 4- Bunting: the crochet staple. 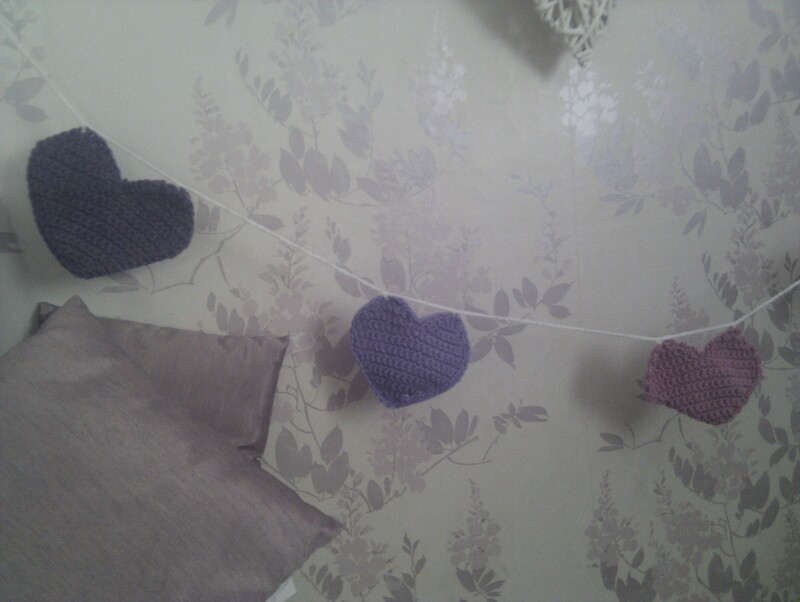 Every crochet magazine worth it’s weight in salt has some form of bunting pattern, triangle art etc. It’s so very easy and instantly gratifying! 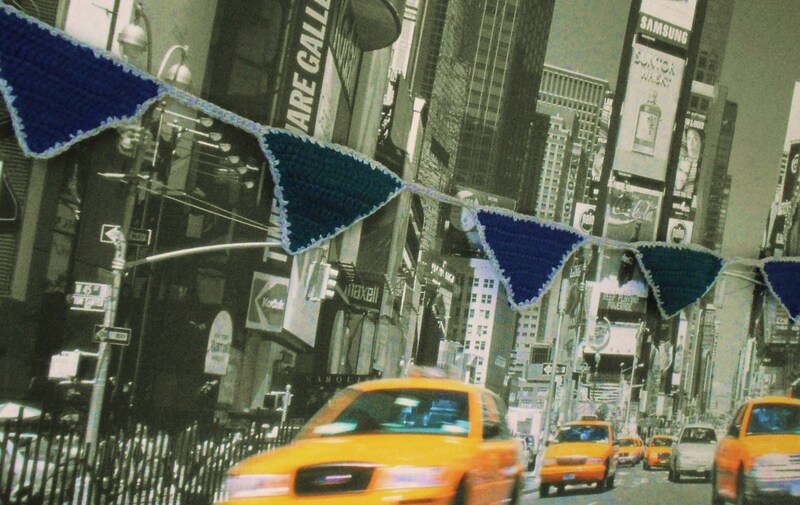 Bunting is one of these glorious things that can be done in any colour, size and for any room. I’ve used a dark green, blue and grey I found in my beloved pound shop. 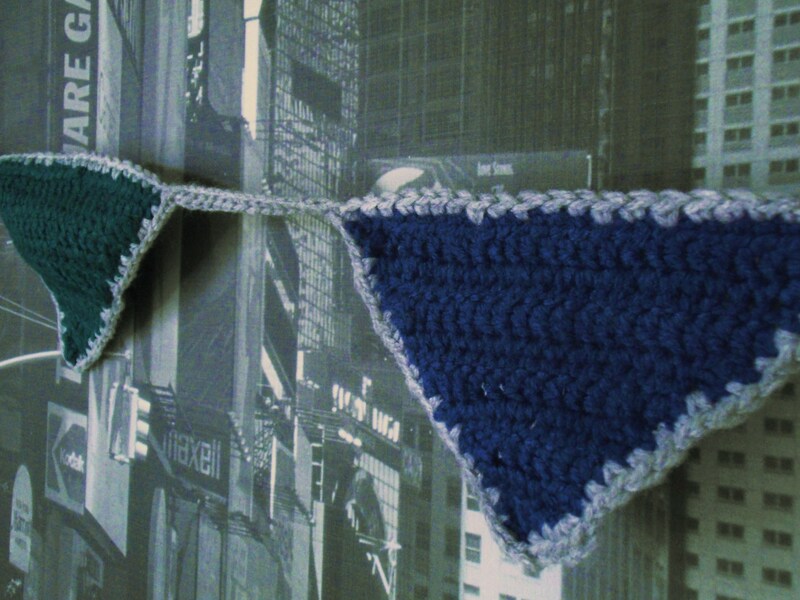 This bunting was finished when I was at the Student Gaming Nationals in Sheffield. (It kept me calm and I avoided shouting at the geeky idiots). 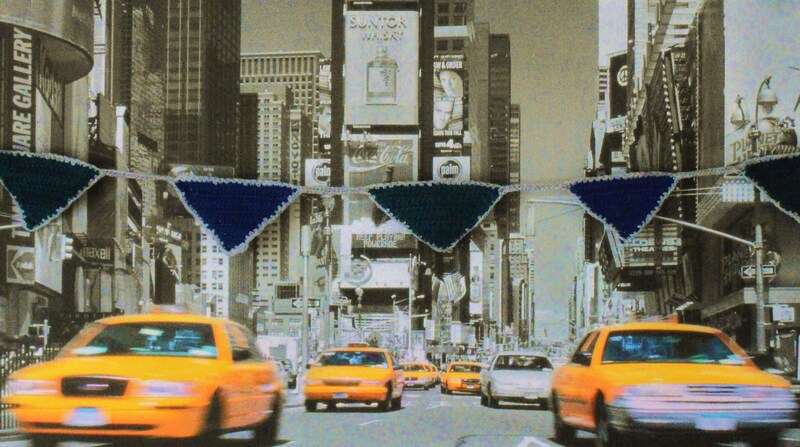 I find about 6 triangles makes a decent length of bunting. With this one I have outlined each trianle. I’m not sure about it, It might have looked darker and manlier if I hadn’t bothered. What do you think?